We’d love your help. 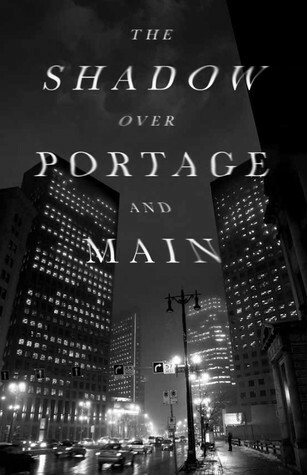 Let us know what’s wrong with this preview of The Shadow Over Portage And Main by Keith Cadieux. The Dwelling, A Dry Spell, and Bastion Falls. To ask other readers questions about The Shadow Over Portage And Main, please sign up. I’m not a fan of the horror genre but I enjoyed this book. I would have rated this collection of short stories higher if I liked the horror genre depicted through the writings of these Winnipeg authors. Quality writing, creepy and disturbing content. Curiosity. Crime. Cold. Chills. Winnipeg. Winnipeg disrupts many things as it disrupted my alliterative first line. I found this book to be hit-and-miss, as is per usual with a book of short stories by multiple authors on the loosely similar theme of the weirdness that is Winnipeg. Not that a book on that subject is usual. I found the constant change of authorship to be distracting, as some of the writing styles weren't all that polished or to my taste. Kind of like Winnipeg. All in all, it was i Curiosity. Crime. Cold. Chills. Winnipeg.